Last week in Framingham RonJon Chimney Sweep did an elastomeric flashing sealant for a home that had water coming through bedroom ceiling. Elastomeric flashing sealants are flexable, water resistant, environmentally friendly solutions for leaky flashing. Last week in Natick RonJon Chimney Sweep water proofed a severely leaky chimney! RonJon used a membrane sealing material for the crown seal, a properly measured cap of 304L stainless steel 114"×32×12" with a 5" overhang, an elastomeric flashing sealant and chimney saver H2O proofing repellent. 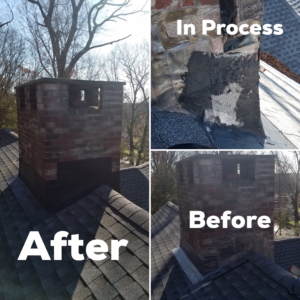 If your chimney is leaking give RonJon Chimney Sweep a call for the solution! 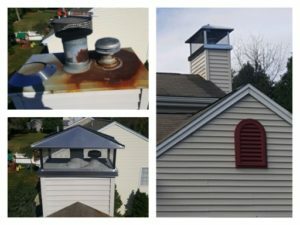 This week at Ron Jon Chimney Sweep our blog is featuring an improper installation and servicing of a 304 stainless steel liner for oil heating system. To start 316ti stainless steel liner for oil heating system should be used NOT 304. Also the termination at the smoke pipe to liner should be terminated with tee and snout. RonJon Chimney Sweep only uses 316ti for oil and gas heating appliances AND for solid fuel burning (fireplace, wood stove venting). 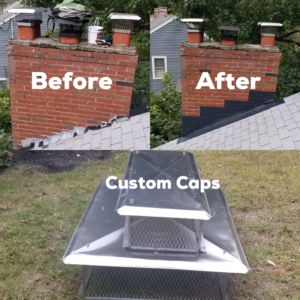 If you are unsure about your chimney's makeup and want a qualified CSIA certified chimney professional to inspect please call RonJon Chimney Sweep today! 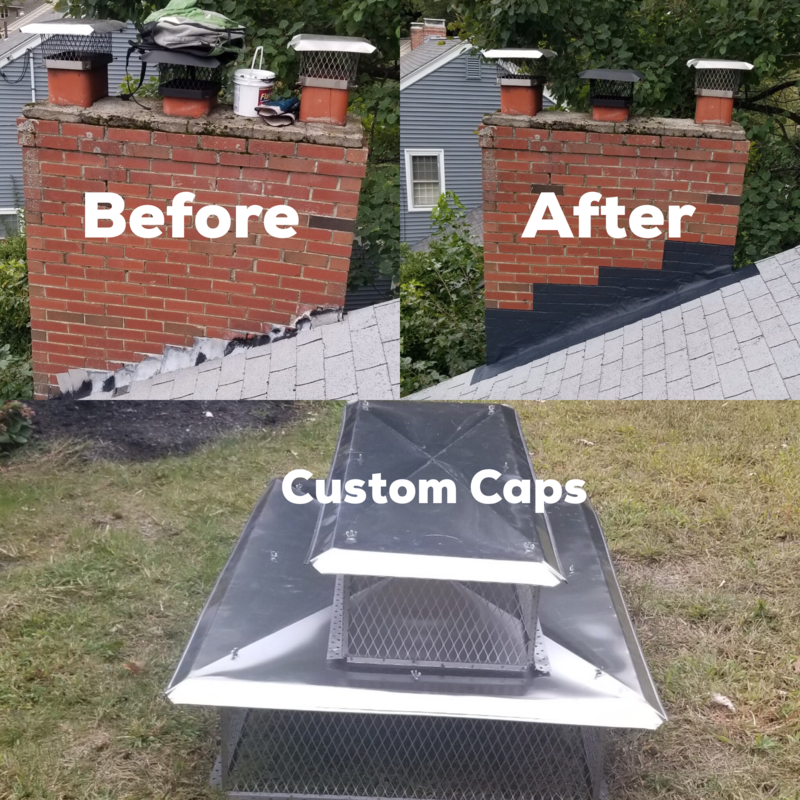 This week at RonJon Chimney Sweep we encountered a home in Framingham Massachusetts with a deteriorated chase cover for the chimney. 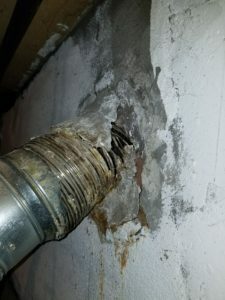 The chimney was leaking lots of water into the home's bedroom. RonJon fixed the issue by sealing the top from water using current chimney products and technology and then installing a 304L stainless steel Hip N Ridge style beautiful cap. 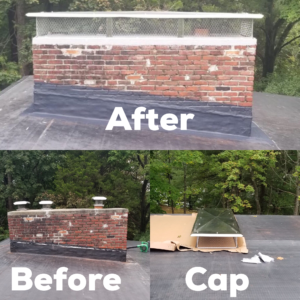 This cap's specializes in keeping water out and it also looks great and stylish for the home!